What exactly IS scratchboard – and how do you use it? 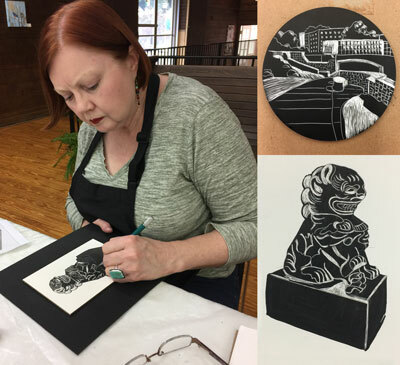 Join us at Southern Arts Society for a hands-on learning experience with ALL MATERIALS PROVIDED! 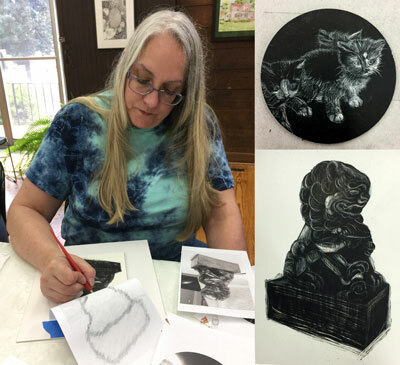 This workshop will provide a brief overview of the medium, its history, its tools, and techniques, how to add color, and how to protect finished scratchboard drawings. 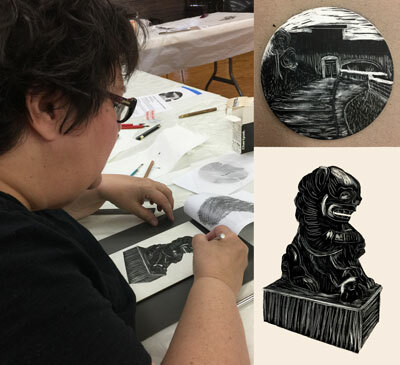 Each student will receive two small scratchboards to use and keep after the class; scratch tools, ink, and brushes will be provided for their use during class. background and drawing on a solid black background. Experience: No experience necessary – suitable for both beginning and intermediate levels. 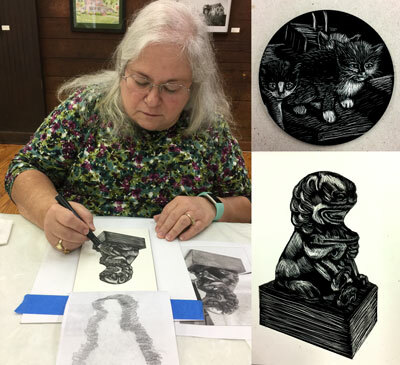 To Register: contact Southern Arts, Society, Inc.
Left: Jewel Reavis works on her foo dog scratchboard drawing. Right: Charlotte Greenway and Foo Dog drawings. © 2019 McAdams Studio All Rights Reserved.